Opening Ceremony: September 28, 2018, 6:00 p.m. Suicide is considered to be the most personal decision; the person concerned decides that they don’t want to live any longer. How does the archives dare to show the lonely victim and the location where somebody in sheer desperation died by their own hand? The photo archive of the Crime Scene Investigation Unit of the Budapest Police Headquarters has been transferred to the Budapest City Archives. 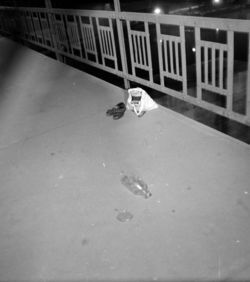 Among the unorganised, unprocessed negatives of the several tens of thousands of photographs taken between the beginning of the 1950s and the end of the 1980s, there are photos of thousands of suicide scenes taken by crime scene investigators. The photos – not only those of suicides – are staggering: presumably nobody has ever seen Hungary like this in the decades following World War II: the penury, the desperate, desolate, hopeless conditions. Suicide is a personal decision yet it is a social problem. The number and rate of suicides, the distribution according to gender, day, season, region, age or method all show reliable statistical regularity, the data usually change only slowly over several years or decades. Suicide rates were the highest in the world in Hungary for three decades, starting from the middle of the 1950s: every year approximately 50 inhabitants per 100,000 on a yearly average only a little less than 5,000 Hungarians took their own lives. Suicide rates gradually decreased between the middle of the 1980’s and 2006. This tendency thus started before the regime change, puzzling those who thought there were political reasons behind the large number of suicides and the subsequent decrease in the number of incidents. However, suicide rates in Hungary are still among the highest in Europe. “The reasons behind the exceptionally high suicidal mortality in Hungary are not completely understood even today”, stated acknowledged Hungarian experts of the field a few years ago. Researchers are aware of the many aspects of this topic, and numerous facts are known, various theories try to highlight the causes, yet there is no indisputable explanation to this phenomenon in the second half of the twentieth century in Hungary. It is not only explicable facts that enhance our knowledge; it is not only those questions which have clear-cut answers that we should ask; it is not only what is not upsetting to see that has to be shown; we should also talk about the things that are difficult to put into words. We made an effort to consider the right to honour the memory of the deceased and to informational self-determination of the victims and those left behind. We sought to act with moral integrity and in compliance with regulations and ethical norms. 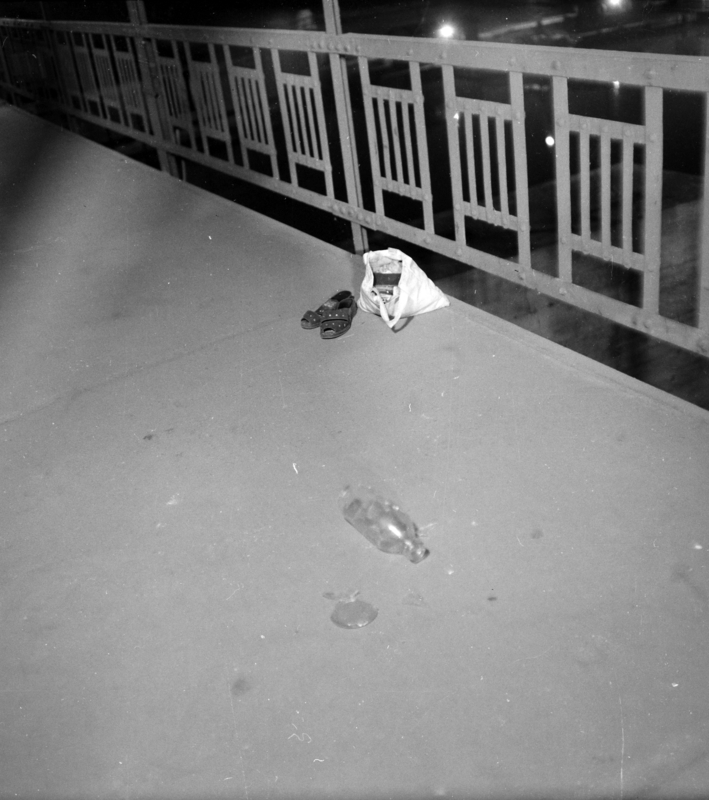 Therefore, the victims on the photographs are not identifiable. Furthermore, only adults can visit the exhibition. We are truly sorry if despite our utmost efforts we have caused any pain to anyone. The exhibition was organized by Blinken OSA in collaboration with Fortepan Photo Archives and the Budapest City Archives. Blinken OSA / Galeria Centralis - 1051 Budapest, Arany János u. 32.